Canadians are being asked to be afraid. We should apparently be so afraid that we will trade a little more security for a lot less liberty with Bill C-51, Canada’s Patriot Act. It will affect our privacy at home and at work and is why four former prime ministers, retired judges, and so many academic experts in privacy matters oppose it. At the same time, we are to be afraid of what people wear. 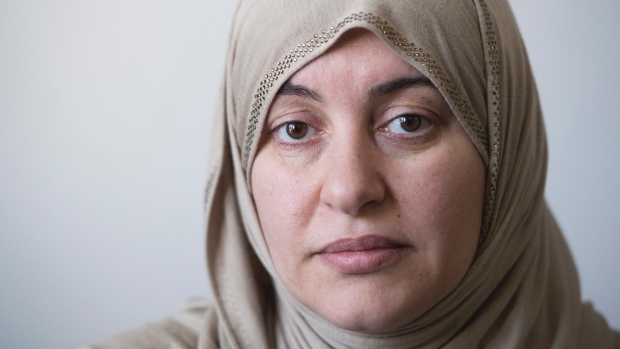 A hijab, we’re told by the federal government and a Quebec court, is a threat; not a burka, that covers a person’s face, but a hijab that covers one’s hair. Is this a thin edge of the wedge where courts and the government can tell us what to wear and to fear those outside the mainstream, wherever that ever shifting current happens to be at the moment? Rather than shuddering, many Canadians opting to think because the anti-terrorist bill and hijab kerfuffle are stirring a debate regarding the definition of Canada. To try and define Canada, however, is tough for any assortment of words quickly tumbles into confessions of a job half done. Canada is the dancing fire in Iqaluit’s sky as much as the homeless veteran on a Yonge Street sidewalk. Canada is Montreal private club English and Moncton Franglais as much as Ottawa Valley twang and Come By Chance slang. If only we could ask the Irish who, when the potatoes went dead in the ground and rents flew high, left to start again where merit meant more than whose your father. It would be nice to ask the slaves who snapped their chains and followed the North Star to freedom. Or, maybe the Ukrainians, those peasants in sheepskin coats, who left poverty and oppression for free land and a fresh beginning. Nowhere was Adolf Hitler’s evil more banal than at the death camps, and the worst of the worst was Auschwitz. The innocent who suffered unspeakable horror spoke of a building where their confiscated property was stored. It became a sliver of light through the cruel darkness. It held the promise that someday they might be released. We could speak with them about their naming the building Canada. At the war’s end, Canadian doors opened to its victims. Hungarians, Italians, Czechs, Poles, and more came to work the mines, factories, and farms and build the schools, roads, and little towns and towering towers. The Ottawa men called them Displaced Persons while some snarled DP as an insult. The latest to arrive are always harshest on the next in line. Ask the Vietnamese about the Pakistanis or the Irish about the Jews or, for that matter, ask the Boethuk about the English; that’s if you can find a Boethuk to ask. All the answers from all these people, along with songs and stories and dusty old Royal Commissions, leave us with a country too complex to fully comprehend let alone define. Maybe that’s OK. Canada is like the shape-shifting trickster Raven whose beauty is its ever-changing complexity. Perhaps this vision brings us as close as we will come in our quest for understanding. But in our hearts, we have always understood the Canadian secret. It is the freedom to try and fail and try again. It’s the draw bridge locked open to new people and ideas. It’s complicated. It’s hard. It’s meant to be. But it is what will save us from fear-based prejudices and policies, be they the proposition of police-state practices or a national dress code. It is our celebration of Canadian complexity that we guard, oh Canada, when we stand on guard for thee. If you like this column please share it with others through your social media of choice and please consider subscribing to my Monday morning blog. And now with A PARTY OF ONE as Michael Harris tells us in his brilliant book about Harper, we need to hear from historians, like you, John Boyko. It is too easy to scare Canadians , with the fear mongering in our press and from our neighbour to the south. PS. I love your idea of artists or intellectuals on our money. We must save the CBC. Thanks so much for your comments and for following the blog. The CBC, ironically, was started by a Conservative Prime Minister – RB Bennett.